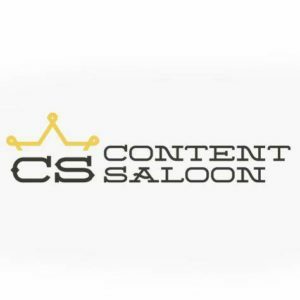 We recently attended Content Saloon, a Social Media event in Calgary that highlighted some prominent businesses and individuals in social media. @YYCFoodTrucks, @Enbridge and @CalgaryTransit came representing the businesses, while @dansgoodside, @mandystobo, and @codyincalgary spoke for the individuals. The main event was a fire-side chat between writer/comedian @kellyoxford (one of Calgary’s latest and greatest exports) and @mikesbloggity. These types of events always bring out some great ideas, so I thought I’d share with you my favorite snippets from the talks. I’ve mentioned before that I believe writing a ton will only bring benefits, and this idea falls into the same category. @codyincalgary made a great point that you can labour over a blog post for days and release it into the wild only to see it gain very little traction. On the other side of the coin, the quick idea you jotted down while you were waiting for a bus ends up generating a ton of attention. The truth is we’re often very bad at estimating what people will find valuable and what they won’t. There’s so many factors that go into what becomes viral that it can be incredibly easy to over-think and get yourself stuck. The next time you find yourself thinking “I’d love to blog about that, but I doubt anybody would care”, consider that a sign that it might be time to hit the gas. James from @yycfoodtrucks made an excellent comment about people who complain on social media about your brand. While it can be unnecessary and hurtful a lot of the time, don’t tune them out totally. Sometimes in a business it’s easy to get the blinders on a little and forget that your viewpoint is quite different from that of your customers. Don’t forget that some complaints are like mice; if you see 1, there’s a good chance there’s 10 you aren’t. If you receive negative feedback, be honest with yourself and ask if there’s a chance this is an isolated problem, or something that could be happening to others as well (not everybody is comfortable voicing complaints to you). Bad grammar and spelling mistakes are going to happen, but it’s important to remember that you will be judged when they occur. An autocorrect snafu here or a missed apostrophe there won’t destroy how people think of you, but persistent problems could be damaging. A great tip from @Enbridge was to just take a moment and read your message aloud before hitting send just to make sure it sounds as you want it to. When you’re trying to fit long messages, hashtags, and links into a very small container things can get murky in the process. Remember: you may not care about grammar, but your next customer might. 4. Who’s running your social media? One of my favorite points of the conference came from @CalgaryTransit about who should be included in the social media interaction. Often times in a large company, the task falls to the marketing and communications staff. While this is a fine practice, ask yourself if there’s a group who might be closer to the demands and issues of your customers. In @CalgaryTransit‘s case, they’ve enlisted the help of their call center staff. While including a group so close to the customers could be seen as basic, it’s a practice that isn’t nearly as common as it should be. 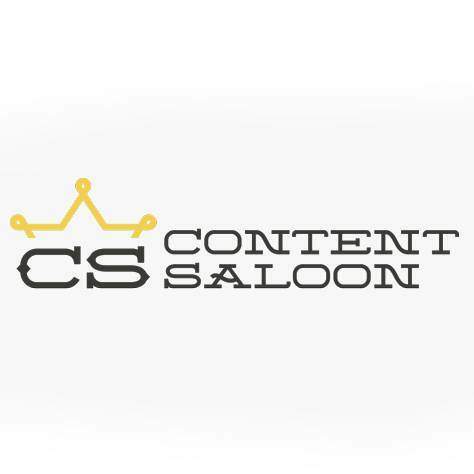 Content Saloon was a great event that brought many of Calgary’s top social media professionals under the same roof for some solid discussion. As social media is still such a new realm it’s exciting to see so many people passionate about how to use it best. Hopefully this becomes a yearly tradition and we can see you there next time.